The German network infrastructure supplier LANCOM Systems has appointed Michael Müller as Vice President, Wi-Fi and Switches. The 47-year-old is responsible for the product lines in the area of wireless and wired networks: Wi-Fi access points, WLAN controllers, hotspot solutions, and LAN switches. He comes from network specialist D-Link, where he headed the product management for Central Europe. With an MBA and more than 20 years of experience in product management in the IT industry, he has held a number of leadership positions. Most recently, he was at D-Link as Head of Product Management for Central Europe. Previous positions were at Dell and Hewlett Packard/Compaq. 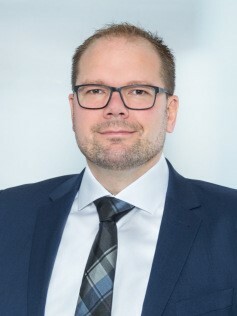 In his new role, Michael Müller takes over the responsibility for the product and market strategy of the LANCOM Wi-Fi and Switch product lines and will oversee the maintenance, development and lifecycle management of the LAN and Wi-Fi portfolios. He reports to Christian Schallenberg, CTO and member of the extended Management Board at LANCOM. He succeeds Jan Buis, who has been responsible for the Wi-Fi and Switch portfolio for the last year and a half. As Vice President of Business Development, Jan Buis will focus on further expanding the global LANCOM business within the Rohde & Schwarz corporate group, advising international analysts and providing strategic leadership to OEM customers. Michael Müller enjoys spending his spare time cycling and hill walking, and he enjoys drinking a good wine with his family and friends. LANCOM Systems GmbH is the leading German manufacturer of networking solutions for business customers and the public sector. LANCOM offers professional users secure, reliable and future-proof infrastructure solutions for local-area and multi-site networks (WAN, LAN, WLAN), as well as centralized network management based on software-defined networking technologies (SD-WAN, SD-LAN, SD-WLAN). The LANCOM routers, gateways and WLAN solutions are developed and manufactured in Germany, and a selection of the VPN portfolio is certified by the German Federal Office for Information Security (BSI) for the protection of particularly sensitive networks and critical infrastructures (EPCIP). LANCOM Systems has its headquarters in Würselen near Aachen, Germany. Customers include small and medium-sized enterprises, government agencies, institutions, and major corporations from Germany, Europe and, increasingly, worldwide.